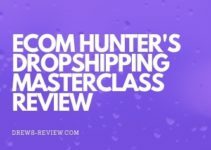 Google Ads Ecom Academy Review: Tristan Broughton's Course Worth it? 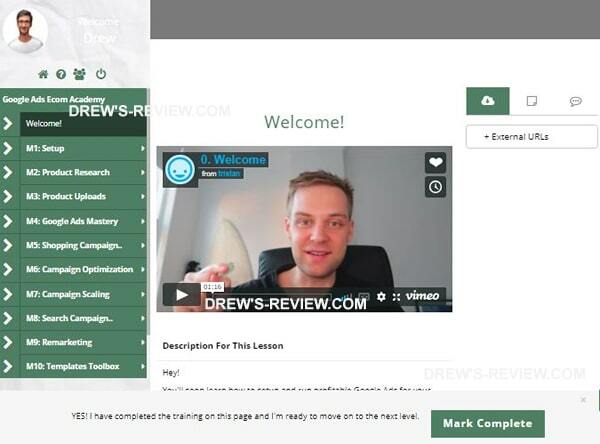 Here is my review on Tristan Broughton's Google Ads Ecom Academy. You may be familiar with his course called "Product Winner Blueprint" - this new course is offered in a bundle or a standalone. 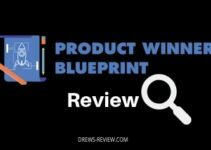 I recently got my hands on both courses and just finished my Product Winner Blueprint Review. 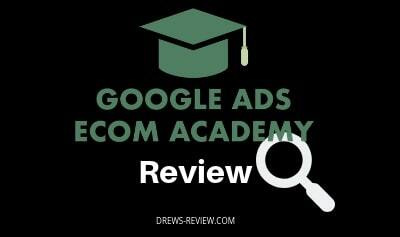 Check it out or continue on reading for my review on his latest course - Google Ads Ecom Academy. You're probably familiar with Tristan through his Youtube Channel. He's got a lot of great ecom videos out there and people really seem to like his content. His teaching is very detail oriented but at the same time easy to understand - even for noobs. Tristan is not into the flashy stuff like a lot of You-tubers try to impress you with. His focus is actually doing e-commerce and managing his own stores and only recently decided to create courses. This is his second course and it's not a version 2.0, it's something completely different. I was waiting for someone to do a Google Ads course for ecom. Myself, I prefer SEO, but I have to say I am going to start implementing his tactics from what I learned from his course. Perhaps you should too. Anyway, i'm writing this for you to make a decision and give you a chance to look what's inside the course. Before the modules start, Tristan has a welcome video. He tells you the best way to learn from his material and that includes taking a lot of notes, joining the Facebook Group, taking action and don't give up. The course is set up so that you can take notes on the right hand side to save for later. I love this feature because you can include timestamps for really important stuff. In this 6 video module, Tristan starts off explaining the importance of complying with Google rules for eCom. This isn't Facebook anymore so it's going to be different. I've used Google ads in the past and still do with some of my clients and you need to play by Google's rules or your ads won't get approved or will be pulled down. Further videos tell you what app you should be using to run Google Shopping. He explains this process that goes through the Merchant Center then to Google Adwords and other details. 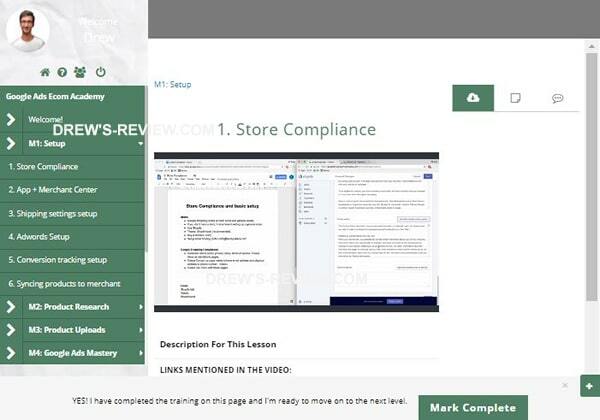 Other videos include how to set up your shipping settings, creating your Adwords account & linking it to Merchant Center, setting up your conversion tracking, and how to connect the Google shopping feed app to Merchant Center. 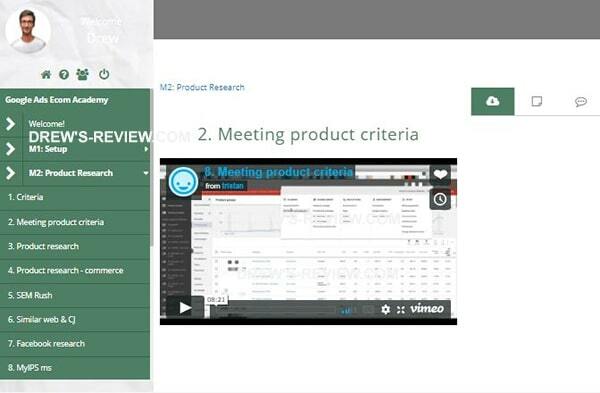 There are 8 very detailed videos in this section and it starts off with the critera for product selection and recommended tools. He also tells you what not to sell. He gives you a sample product and shows you how it meets the 3 product criteria guidelines necessary to be successful with Google Ads. You'll also learn how to find other stores that are using Google Shopping ads by using some tools that he suggests. Essentially you'll be "spying" on other stores. Don't worry, this is totally legal and i've done this myself! This module was very intense and really shows that Tristan holds nothing back. I'm pretty impressed with the level of detail that he goes into. You'll definitely need to take notes in this section! In this module you'll find 8 videos that focus on uploading products to your store, choosing the 'right' price, conversion optimization strategies and more. As you've probably figured it out and I did mention this already, Google Ads and Facebook are totally different beasts so the strategy for ads will be different. He covers this well. 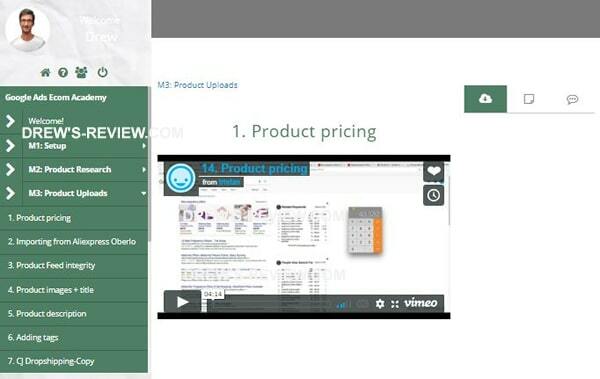 Further videos discuss importing from Aliexpress, Product Feed Integrity, optimal product images and title (and what keywords you should be using) adding tags, dropshipping copy and more. Another intense module. Four videos are found in this section but are longer than usual. This is where he walks you through Google Ads so you will have a good understanding of how to use it. You'll master Google Ads once you're done this section. I do wish this was available when I first delved into Google Ads because the learning curve is steep. This saves a lot of time and you'll need to watch these videos a few times before it sinks in! 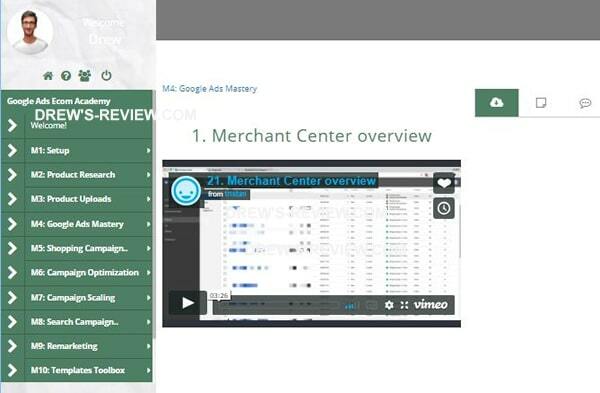 You'll learn about the Merchant Center and how to use it. 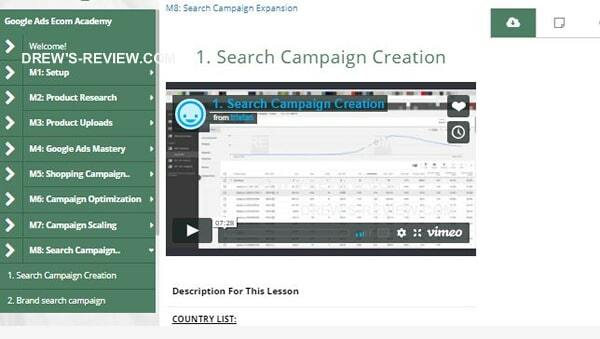 He teaches you how to set up campaigns, ad groups and product groups in Adwords. You'll learn all about bidding strategy and what has worked for him. In the last video he discusses budget strategy and how you should approach this. There are 9 videos in this module and looks to be the biggest of the course. You'll need to be plenty caffeinated for this one it looks like - along with taking a lot of notes. Don't be intimidated though because he explains the Google platform well - he really knows his way around. Getting into the videos he discusses currencies, creating test campaigns, drilling item ID's (setting bids at product level), adding locations, enhanced CPC, ongoing drilling and more. Again, it's an intense module and i'll be implementing these strategies on my own stores once done this review. This module builds on what you learned from module 5. It's focus is on a campaign that has been active for a while so if you have no data yet you'll just need to wait a bit. Videos include excluding unprofitable products, excluding search terms, device bid adjustments, bid redirection on converting and location bid adjustments. Again, a techy module but he makes it easy to learn. Have I lost you yet? If not, keep reading or check out Google Ads Ecom Academy here. 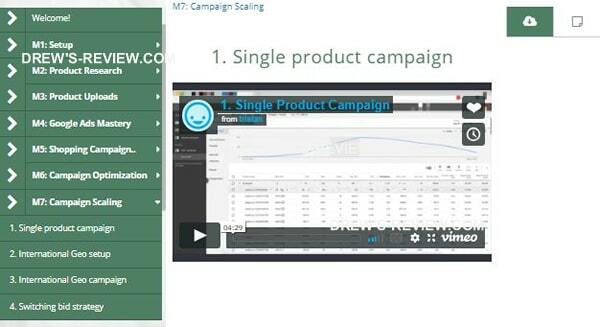 Six videos are found in this section that focus on building and scaling your campaigns. It covers everything from single product campaigns, International geo setup and campaigns, switching bid strategies, TROAS bid strategy and revival method. Don't worry, if you're shaking your head at these. Tristan explains everything. Newbies can relax! In this module you'll take a bit of a break with just 2 videos. 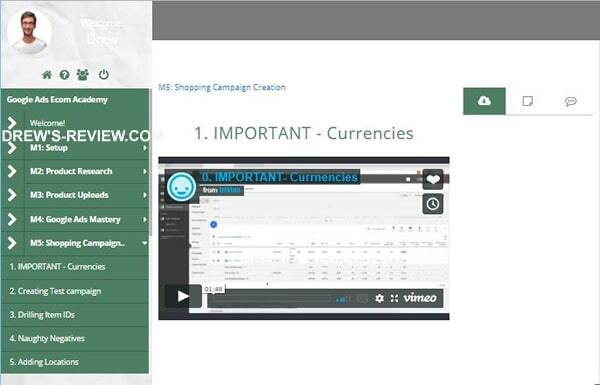 The first video is on search campaign creation, where you focus on keywords that have converted in your shopping campaign. The other video is about creating a brand search campaign. 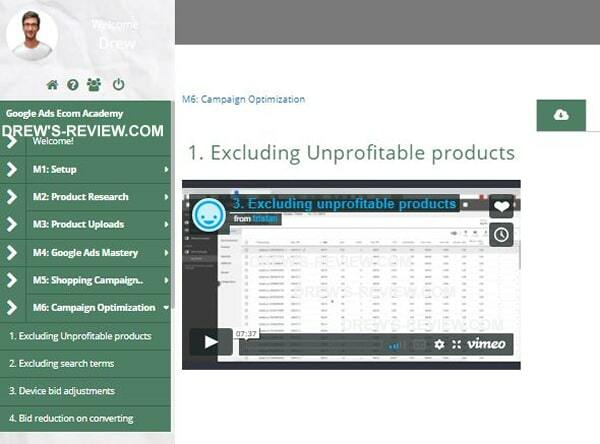 Tristan say this could be the most profitable search campaign you'll ever create. There are 3 videos where you will learn how to remarket with the Google platform. You'll learn static image remarketing and dynamic remarketing. Further videos show you how to setup your audiences with these strategies. If you have done remarketing with Facebook, you'll know how important it is. With Google ads, it can be almost more effective. Pay attention to this section. Just like in Product Winner Blueprint, you get an option to buy the template toolbox for Google Ads Ecom Academy. I went ahead with the bump and here's a screenshot of what you get. If for some reason you are not happy with this course, simply contact Tristan and you'll get a full refund. You must do this within 30 days to qualify for a refund which is more than enough time. The level of detail in this course was overwhelming - but that is a good thing! Tristan holds nothing back and you can really see he knows his way around the Google platform. It's obvious that he uses this for his own business otherwise there is no way he'd be able to teach it this way. With Facebook ads getting expensive, Google ads could be the answer to either fully replace it, or use as a second source of traffic. I've used Google ads in the past but with Ecom it's a whole new game. I think not using it is a disadvantage. I'm going to go through the course again and start implementing what he has taught. It's a lot - but he's convinced me it works. So there you have it. I hope you got something out of this review of the Google Ads Ecom Academy. The only negative about this course I can think of is that you'll spend a lot of time learning something new, so it's going to take a while. Sorry this review was so long but there was just so much to cover. 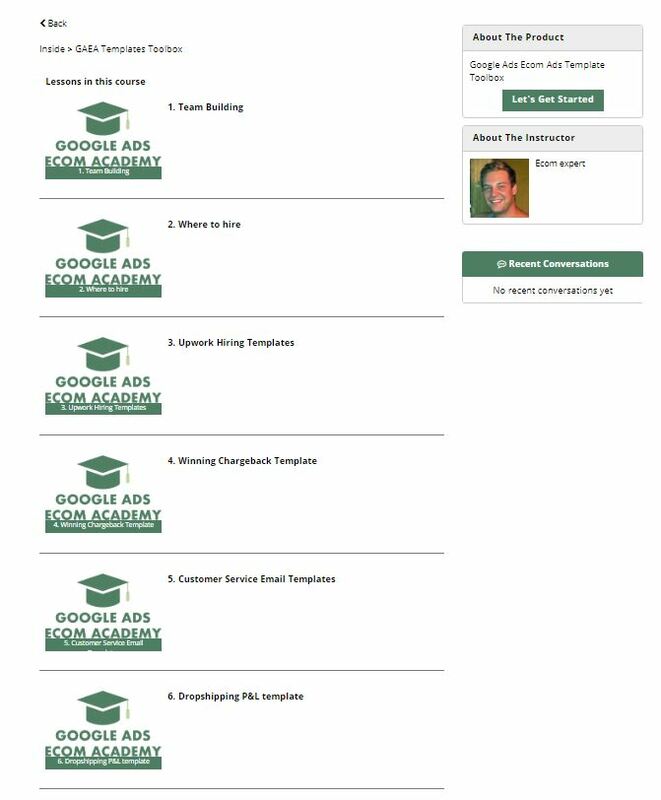 This brings me to the conclusion that it's probably one of the best Google Ads courses out there - even at the price point he's set - it's still worth it. An incredibly detailed course on blowing up your business with Google Ads. 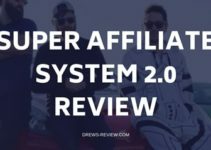 Tristan details his incredible knowledge on this platform and how he uses it on his own stores to make profit. It’s got my vote. Side note – If you can afford a tiny bit extra, bundle it with Product Winner Blueprint if you don’t have it yet.